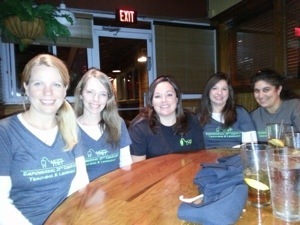 Last night, my team and I went out to dinner before presenting an an out-of-state conference. After driving for over five hours, we were starving! I am happy to report that our dining experience was amazing! 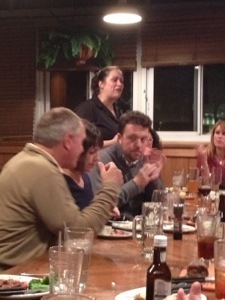 Our waitress, Ashley, was phenomenal. She cheerfully explained the specials and didn’t bat an eye when we sheepishly changed our orders. Drinks were refilled without asking and appetizers and meals were served hot and in a timely manner. Not a single error was made in our orders! It was a miracle! Because of Ashley’s impeccable service to all the conference presenters, we were able to enjoy our time together networking instead of being frustrated or inconvenienced. I really wanted to do something for our waitress to show my appreciation for a job well done, so I reached into my bag, jotted a personal note on the back of my business card and added it to a $5 Starbucks gift card. I handed the card to Ashley as we departed from the restaurant, thanking her for all her work. 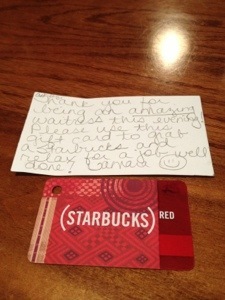 I wished I had more gift cards, because I would have loved to have treated HER to a dinner she could enjoy! The next time you are eating out, take a moment to not only enjoy your meal, but thank your waiter or waitress. While serving you is part of their job, to know their service is appreciated validates all they do! 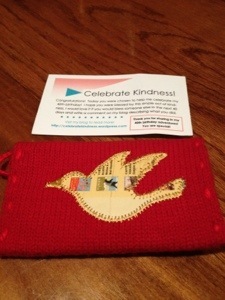 2 Responses to "Random Act of Kindness #25"
That is so great to hear! I love it when people take pride in their work. She sounds like she did just that. I love your acts of kindness. One time I kept passing the same construction workers working hard in the sun. The next time I passed them, I gave them all sodas to drink. Let’s continue to spur one another to do random acts of kindness.